New edition of the franchise of management teams more entertaining and realistic, FIFA Manager, designed to put us in charge of a football team as managers and coaches from work related abot the facilities to the management of own players. This issue launches a set of new features like the Team Dynamics, new interface and management tools. Changes to the 3D mode create a more realistic experience, and include new logic, new player artificial intelligence, and pointed to tactics, substitutions and the conduct of opposing managers improvements. Moreover, a new user interface is said to be more intuitive that allows players to retrieve all the data relevant to the game within seconds and to issue precise tactical instructions to their teams. 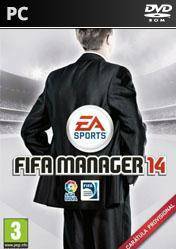 There are no comments yet about FIFA Manager 14. You can be the first one!